When photographing buildings from the air, it is always best to have the sun on the front. 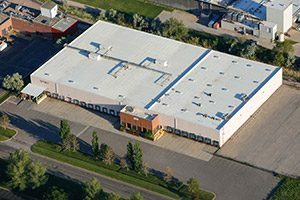 Take a look at this large industrial building that faces north. Did you know that there are very few times during the year that the sun illuminates the front of north facing buildings? From May through late July the Utah sun rises and sets to the north of the east west latitude lines. So, if you own a building that faces north, this is the only time of year to get the best lighting on your facility. Spring and early summer are also when trees, flowers, and grass are looking their best. 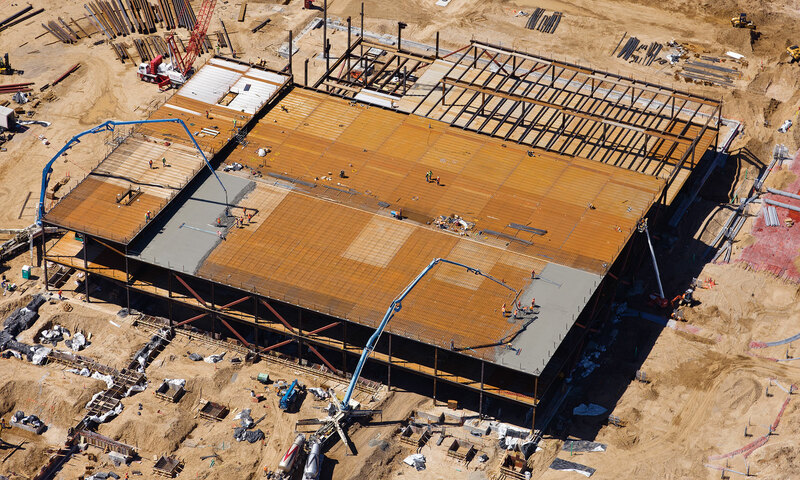 A professional ground or aerial shot of your building/facility is a great thing to be able to access. Think of the possibilities . . . websites, newsletters, brochures, letterhead, business cards, special announcements, boardroom décor, and more. But don’t fret if your facility faces east, west, or south, and you still want that springtime freshness. Even around the summer solstice (June 21st) the sun hits the south side of buildings from mid-morning to mid-afternoon before making its northward trek. And, east and west sides just need morning or afternoon sun. There is always a time of day when the light is best for a given location, but if your building faces north that only happens in late spring through mid-summer. Our staff has over 65 years of combined professional photography experience, we are licensed commercial pilots, certified master aerial photographers, and licensed drone operators. We can also use a lift truck for those times when you need a low level elevated shot where a drone is restricted or unsafe to use. Drones are illegal in some FAA controlled airspace, high pedestrian or vehicle traffic areas, and are limited to 400 feet in altitude. It can be dangerous to use a drone where there is no reliable GPS signal, or high electrical or radio wave interference. Drones are all the rage right now, but for some things a manned aircraft makes more sense. Don’t think that just because a high angle shot is taken from an airplane that the price is also high in the sky. More often than not that is just not the case. That high-flying angle can really establish your location with respect to the rest of the surroundings, not to mention our majestic mountains. Here at Photographic Solutions (AKA Utah by Air), we take time to plan our architectural ground and air photography when the light is just right. If your building is well lit at night, sometimes a sunset shot can be spectacular. There is still time to give us a call and schedule a shoot to capture that magic moment when everything looks its best. Don’t wait too long if your front faces north!